Did you know that Luther’s ideas began to spread in France from 1520 onwards. The authorities did their best to oppose them. From 1540, under Jean Calvin’s influence, a new Church took shape, but separate from the Roman Catholic Church. 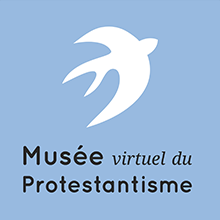 To know more, just click here (link), to reach the French-based Virtual Museum of Protestantism, an excellent website dedicated to spread scholarly information about Protestantism, France and worldwide. Many sections are carefully crafted in English, so English-speaking readers have no excuse missing them! 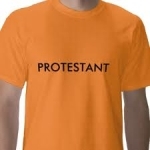 Who wants to discover French protestants in an easy, user-friendly way? Wait a minute, iTunes has something for you. The Protestant Library was created as an extension of the Internet site www.museeprotestant.org, of the Virtual Museum of French Protestantism (Pasteur Eugène Bersier Foundation of French Protestant History).